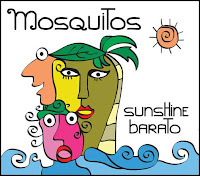 The Mosquitos' mix of Brazilian bossa nova and indie pop found a champion in Rolling Stone's David Fricke, who wrote of the band's self-titled debut, "Just in time for summer's end: the endless summer and tender Braziliana of this New York trio's debut, a sweet hybrid of bossa nova hypnosis and indie-pop restraint." 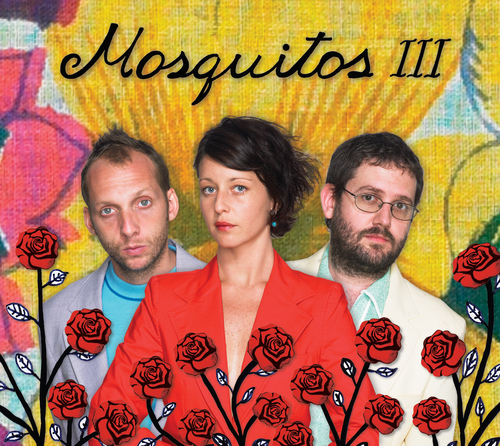 The band seemed an unlikely trio: Rio De Janeiro native Juju Stulbach, singer-guitarist Chris Root, and keyboard player/studio whiz Jon Marshall Smith teamed up to create warm, breezy music; to quote a line from one of the trio's most popular songs, they were so far out they fit right in. Chris and Jon had been professional musicians both on stage and in the studio for years when they met actress/dancer Juju, and talked her into moving to New York and becoming a singer. The band's history makes for quite the love story, as we learned when we caught up with singer/guitarist Chris Root. 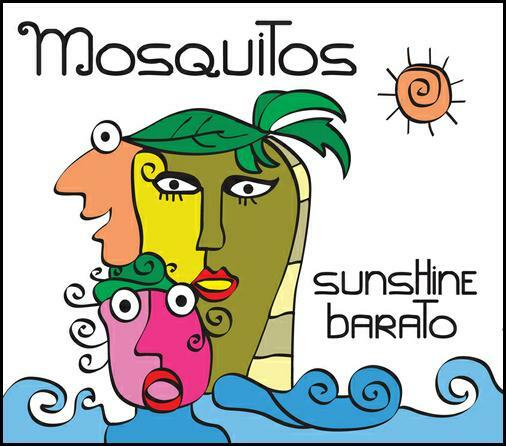 Q: Chris, the story of the Mosquitos is like something from a movie. You met Juju, you fell in love, you started the band... can you tell us how you remember it? Chris: Yes, it was love at first sight for me. There are so many magical details. A marriage proposal, an expired visa , a bubble wrap dress,being held hostage by Brazilian police, the beach in Rio, Bar None Records... during the recording of our first album, Juju finally come around and fell in love. It was a beautiful time. Q: The early 2000's was an odd time for a bossa nova pop band from NYC to have a hit, but your track "Boombox" became one of those ubiquitous songs you'd hear everywhere. What do you feel was its unique appeal? Chris: "Boombox almost wasn't on the record. I was struggling with it because it didn't seem to be a complete song. Jon and Juju convinced me to put it on. I think the appeal of "Boombox" for me was the naivete and spontaneous way it came about. I also love Juju's vocal and the fuzzy bass line. Our creativity together was just beginning. Q: Can you bring us up to date on what you, Jon, and Juju are doing today? person. We worked well together, He did a wonderful job. Mike "ILL" Kilmer grew up on the streets of Hoboken and, with his childhood friend Emilio "Zef" China, formed the Sweet Lizard Illtet, whose sweaty mix of funk, hip-hop, industrial roar, and hard rock earned them a deal with Warner Bros. Records in the early Nineties. 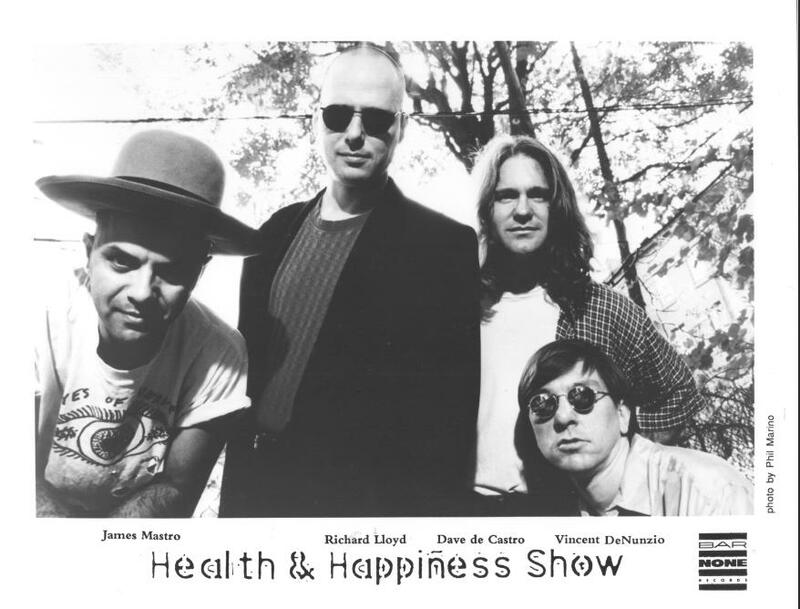 After the Illtet had run its course, Mike started to perform - first as a solo artist, then as a band - under the name Mad Happy, switching from bass to an unconventional style of guitar. 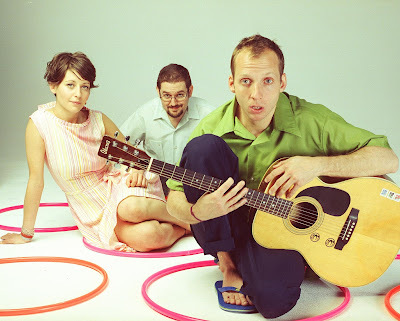 He would eventually marry one of his bandmates, and Mike and Rivka would leave Hoboken for warmer climes down South. The hard, fast, almost violent beats of Sweet Lilzard Illtet presaged the coming of industrial rock and nu-metal. 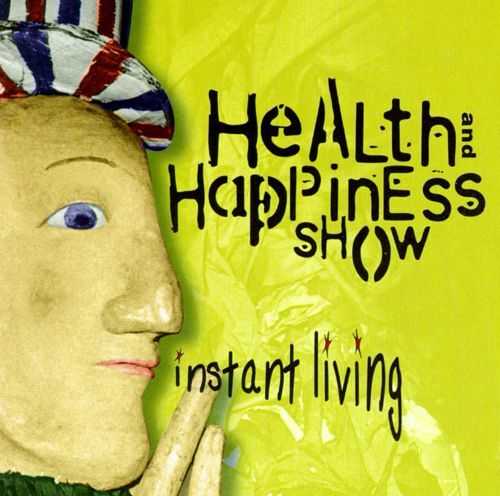 but on Feel Good Music...for the broke middle class, Mike brought a happier, hippy vibe. 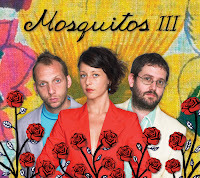 The inspiration for these songs came from all sorts of places, people, and things: late-night hanging out in London, the novels of Henry Miller, the in-your-face flamboyance of New York City's drag queens. "'The Rock and Roll,'" Mike says, "was written for a class of high-schoolers to whom I was teaching beginning guitar. They love Slipknot and Incubus, and I wanted to write something simple with cool lyrics that didn't include curses or talk about drugs. The rhythm of the lyrics is the same as the guitar." Now based in Pensacola, Florida, Mike and Rivka are about to launch a new crowdfunding drive to finance the follow up to Mad Happy's ambitious touring rock opera, "Joys Of Armageddon." Mike was also nice enought to answer a few questions for us. music or theater as well? A: We're in Florida. Pensacola, which is about 200 miles east of New Orleans. Rinah is 7 years old and Aśirah is 4. They are both home-schooled. Rinah is super into visual art. Yesterday she was designing a rocking horse that our awesome neighbor, David Alley, who is a master carpenter, will help her construct. She and Aśirah “have a band” called The Super Rock Girls. They both sing and play some piano. Rinah is learning guitar and there’s a free music school two blocks from here in the Brownsville neighborhood school they attend for two hours on Saturdays. Lamont School of Music. It’s pretty awesome. I help out there a little and also have a few piano students. Mostly I make websites for income these days, am getting better at development, and becoming fairly respectable as a Solutions Architect. Rivka has a hair salon in the house and makes skin care products, which you can check out at Rivka.com. As far as performing, we have been fairly quiet since having the second child. I learned accordion and we have been developing our singing skills, as well as both becoming certified as yoga teachers, mainly because our friend who’s studio it was made it impossible not to. We’re also involved with the Afro-Cuban Ifà community down here, and we kind of combine all of the above in Kirtan’s we lead, which are a cross between a sing-a-long, ecstatic dance and meditation. We made a mantra album with Emilio and Scott Anthony called Naad Your Heart. The act is Bhujanga Sangha, which means Serpent Union or Cobra Community. Q: I went to Madhappy.com and found some blog entries about computerprogramming that I won't even pretend to understand. What is this projectand what have you been working on? What's the current status of MadHappy? The last time I saw you, you were doing a mix of music and theater. A: We are still into both and our duo act kind of combines the two things. The events we have been doing have been in a theater or dinner theater setting and we do lots of bits between songs, which of course contain a good deal of political and social commentary and encouragement. Rivka has come out as bi-gender and we’re involved with the local trans-gender community, as well as other community organizing and activism. I’m the chairman of our new Historic Brownsville Community organization. The computer programming projects I’ve been blogging about on the Mad haPPy site include an International Folk Dance Music archive, which includes a lot of Macedonian, Balkan and Roma music we dance to with a small local group, and a Faitheist Hymnal which at this point is a 75 page booklet containing a bunch of the chants we write and some commentary on them. It’s all done with Open Source software, which means free for anyone to use. A foundation called Puffin Foundation West has been really supportive and one of the grants they gave us was for a two person musical called Are We Done Yet, for which Seth Tobocman did some art work. He’s the artist that did the artwork for the Sweet Lizard Illtet record. We’ve been writing songs over the last few years, many of which are based on music that was part of dreams. Some interesting material. We’re recording with Emilio and our old friend Billy Martin (Medeski, Martin and Wood) next month with Scott Anthony at his studio, Story Book Sound (which by the way is having a grand reopening party on Feb 4th). We’re really psyched about it. Billy, Emilio and I have not been in the studio together since the early days of SLI so we’re all very curious to see what the chemistry will produce. 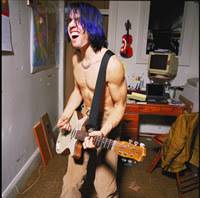 Q: When you made the Mad Happy album for Bar/None, you switched from bassto guitar (a very unique style of guitar.) What inspired this switch andhow did it influence the music that Mad Happy was making at the time? Well, I had been playing guitar for a while. I decided to learn guitar one day when at a friend's house and a guitar was the only available harmonic instrument. Pianos are less frequent and there aren’t really any acoustic bass guitars that don’t require an amplifier (there were some made at one point, I think), so they’re not very portable. There wasn’t really a Mad haPPy previous to the guitar. 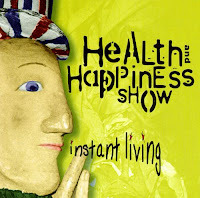 Subsequent Mad haPPy records like the one we made with Chris and Tina Frantz were more, if not mostly, electronic. 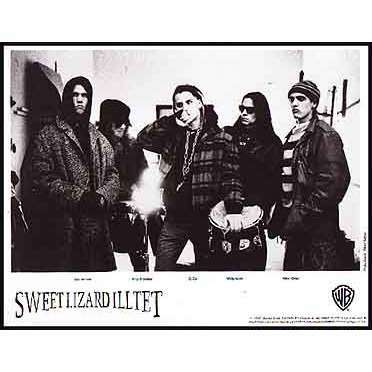 Q: I have so many great memories of watching the Sweet Lizard Illtet growand become so popular, and one of the things I loved about the band isthat you were all kids from the streets of Hoboken. Can you talk a little about growing up there in the Eighties when the city was just starting tochange from a sleepy post-war ghost town to the booming yuppie metropolis it's become? A: Emilio and I met in day care center and rebelled against nap time around 1972. Our parents were part of a Co-operative Nursery School on Castle Point Terrace, from which at age six, we would escape and run around on the Stevens Tech campus and as far as the bluffs on River Road, which was at that point littered with abandoned industry: overgrown weeds and empty tanks, surrounded by cement walls. Kids would jump of these loading trusses at the end of burned-out piers, into the Hudson, which was still full of floating garbage and used condoms (“Hudson River whitefish.”) These became our stomping grounds as we grew older. We’d find murdered animals and hang out with old homeless wise men. We used to love lighting fires. Once we even started a big enough fire that like three fire trucks came. We thought we were really clever. Stealing was our thing. Stealing penny candies from Nellie’s Deli on 10th and Bloomfield Street. And breaking bottles, of which there was no shortage. And hiding from bigger scary kids, or running from them, or getting pushed around. Occasionally befriending each other. Our parents were serious artists, but even more intense activists, and were fighting school board corruption and illegal housing activities. So we grew up with Pete Seeger, Mozart, Bach, and my mom was giving piano lessons. KISS, the band, was huge. I remember one Halloween where it seemed like every single kid dressed up as KISS. I transcribed the lyrics to the song Beth — my mom’s name — and had memorized them by the end of the transcription. Emilio explained to me that KISS sucked. The Beatles were good. That didn’t stop us from being totally enamored by Pegasus, who were a few years older than us and had done a KISS cover act. A video arcade called Mr. Biggs opened up on the corner of around 9th and Washington Street. Berserk, the “Intruder Alert!” 8-bit video game was there. A tiny little private school was started by a progressive and selectively loving dictator, which was less scary than the public school scene and had some great teachers. "Planet Rock" by Africa Bambaata was playing on boomboxes. "The Message" by Grandmaster Flash was on the radio. Once on a school trip, it seemed like half the class had that Sugar Hill Gang song memorized. Kids started dressing like RUN-DMC and learning to break dance and pop and lock. My brother Ben had a baseball cap with his crew name on it and matching colored LEE jeans. Everybody was into kung-fu with homemade nunchucks. They had double features at this lo-fi movie theater around 1st and Hudson. Horror. Kung Fu. Pink Floyd’s The Wall played there. We avoided the populated streets, finding our way to the trains tracks on the West Side and toward Weehawken and the Bluffs around there. Court Street was still really greasy and unpopulated and that was the North/South route. We were terrible at sports, which is what most of the local boys, and many girls did. I was better than Emilio. Don’t think he even tried. I was simply last pick. Lots of football played in the streets. There were also epic games of bottle caps and manhunt in and around the parked cars. Tenement housing and lower-middle-class brownstones were interlinked from one block to the next and there was a ton of Puerto Rican and Dominican culture. Lots of Spanish being spoken and Salsa music, in it’s dawning, was everywhere. Along with smoking herb came listening to Zeppelin, Van Halen, Black Sabbath, Jimi Hendrix — the almighty god of guitar when we were like 13 = and shortly afterward we discovered Blondie, Devo who were having hits, but at the same time we were being introduced to local jazz musicians like Perry Robinson and Joe Ruddick, who taught us how to improvise. This was around the time that Steve Fallon founded the River City Fair, which happened at the piers on River Road, which must have been a little more cleaned up by then. It would have been the early Eighties. A kid name Jerry Torrez played us an instrumental rock record by a band called the Dixie Dregs, which seemed to combine rock and jazz. Pier Platters was opened by that time and we would go in there and buy used jazz fusion records: Mahavishnu Orchestra, Jean-Luc Ponty. They’d look at us like we had three heads. Joey George taught me how to tune and begin to play the electric bass. He played me a live video of "I Shot the Sheriff" by The Wailers, which is unforgettable. Emilio got a cassette of Talking Heads' Fear of Music record and we wore it out. Most of the other Hoboken kids were all about Heavy Metal. Jersey Dogs, Attacker. We were slowly finding our way to funk and hip-hop. Tia, Alice and Karen from Gut Bank were probably hip to various punk bands. I think I remember Tia mentioning Siouxie or she might have had a sticker or something. From a punk or indie perspective we were totally un-hip. We played a lot of Dungeons & Dragons and practiced magic and meditation. There was lots of angel dust around. A ton of it. We dabbled for a while, smoked a ton of herb — what little we could get — and treated psychedelics like a sacrament. We always had bands, but there was no place to perform. That was a constant frustration. Emilio and I had a synth and violin electronic music duo when we were like 15 and this place called O Roe Electric Art Space started doing progressive events. We got to play there and also hooked up with these poets who were doing a collective out of Maxwell’s and we performed with them. One of the poets was a black activist named T Obatala, from Newark. That was great. But there were no all ages venues for our bands. The manager of The Beat'n Path wanted to love us, but his support was trumped by his duty to the government not to allow underage people in the venue. Eventually we were invited to sit in with Perry Robinson’s band at Court Street. That was cool. Walter Perkins, who had been in Charles Mingus’ band, was on the drums. We all smoked herb in the alleyway between sets. Having seen the violent gentrification of Hoboken and unethical ousting of President Carter by the Reagan/Bush regime, we were well ready for burning oil drums and revolutionary demonstrations through the mid-Eighties and got turned on to Gil Scott Heron’s The Revolution Will Not Be Televised, which in many ways was the boiler plate for at least an aspect of what we were doing with Sweet Lizard Illtet. That combined with avant-garde and free jazz. We wanted to change the world and be part of a political and social revolution. This was around the time of what we described as “class war” on the Lower East Side, and the Tompkins Square Park Riots. That was the period SLI became popular during. Susan Perrin, who was one of the founders of O Roe Electric, started managing Boo-Boos on First Street and we got to be part of a really eclectic, integrated music scene there. Blues, Latin jazz, funk. It was awesome. I guess that’s more than a little about it. 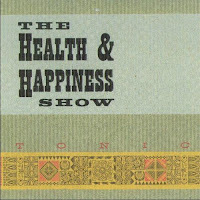 The Health & Happiness Show started with two old friends sitting around a kitchen table, playing Hank Williams songs and sharing a few beers. Jim Mastro had been pursuing a music career since his teenage days performing with Richard Lloyd's post-Television band. He toured the world with the Bongos and then burnt out trying to get his chamber-pop group Strange Cave signed in the major label rat race of the post-Nirvana Nineties. Vinny DeNunzio had been a founding member of the Feelies and had his share of near-miss bands as well. But playing music together in their kitchen was fun. "We started getting together with other friends around their kitchen tables, and I realized that if I pushed all the tables together, we had the makings of a band - a band that wanted to play just to play - not to get a record deal. We booked a show, had a good time, and booked another." Vinny became St. Vincent DeNunzio. Graham Maby joined on bass, then Tony Shanahan came aboard on bass and keyboards when Graham was away on tour. They added fiddle, pedal steel, mandolin. They took their name from a Hank Williams radio show and soon became favorites on the local club scene, then did what Vinny and Jim swore they didn't want - got a record deal with Bar/None. These days, Jim Mastro still performs with friends like Karyn Kuhl and Ian Hunter, but is best known as the proprietor of the Guitar Bar, offering musical instruments and lessons at three locations in Hoboken and Jersey City. 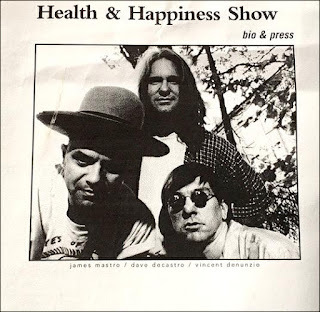 Q: Looking back, it's ironic that Strange Cave is the band that was supposed to make you rich and famous, but Health & Happiness Show seems to be the band people remember most fondly. Jim Mastro: Strange Cave - my band after The Bongos - had every major label's ear for a while. We had endless meetings, showcases, demo deals, and were promised the moon. But the A&R people who loved us could never convince the money people to sign us. After awhile I realized I was playing music trying to cater to people who were more like used car salesmen then music lovers. It was a drag and killing my love for playing music. So as much as I loved everyone in the band, for my sanity's sake I had to end it. After a short while I invited my old drummer friend Vinny DeNunzio over for some beer and donuts. The acoustic in the corner was picked up and we started singing old Hank Williams songs. And we had fun. This turned into a weekly get-together, and then Graham Maby started stopping in, and other friends, too. After some time, I realized I was looking at a band in my living room, so I booked a gig without telling them, and then invited them to the show. Luckily, they all showed up, we played, had more fun, and decided to continue. Q: Is it true you had a near death experience on the road that influenced your second Bar/None album Instant Living? Jim: We were on tour and heading to Nashville for some shows. A car cut us off, and in trying to avoid hitting it, I swerved and our van - full of gear and 5 people - rolled over twice. The vehicle was totaled, but amazingly no one was seriously hurt. Surviving something like that definitely reinforces your joy to be alive. 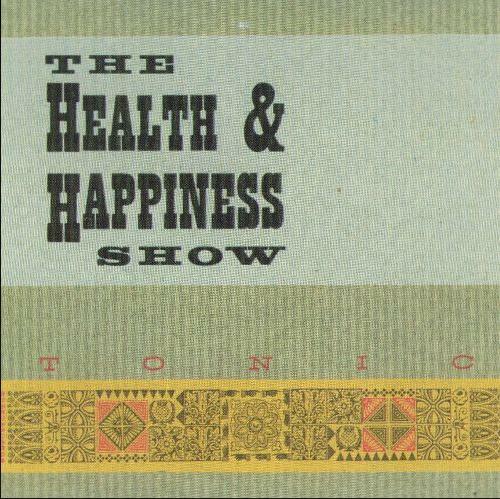 Lyrically, I think I was more introspective and philosophical on that record; musically, it's a much more electric and faster-paced album then Tonic was. Hurtling at 70mph with the sound of crushing metal in your ears will do that to you. Q: Are there any lessons you learned in your career as a working musician that's helped you in your successful career as a local businessman? Jim: Learned and still learning. Everyone's different, and everyone has a story. If you're not a good listener. you're not going to be a good musician. And I think the same applies for the business owner, the priest, the cop, the checkout clerk. There's a story in every word. You just have to be open 24 hours a day to hear it. 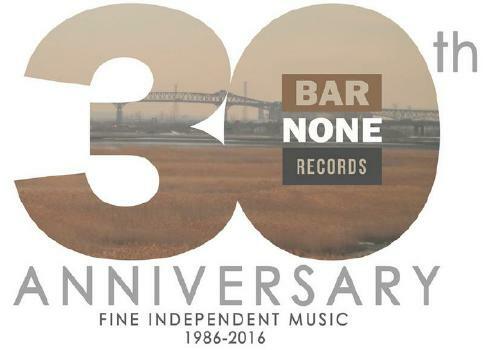 March 26th, 2016, marked the 30th anniversary of Bar/None Records. In the three decades since, the label has maintained an active roster of veteran and newfound artists. We're currently celebrating the longevity of the Feelies and the burgeoning popularity of the Front Bottoms. A lot of great music has appeared on Bar/None throughout the years including the initial releases from Of Montreal and Freedy Johnston, the breakthrough albums for Edwyn Collins and Yo la Tengo, returns to active duty for Alex Chilton, Luka Bloom, Juliana Hatfield and 10,000 Maniacs. Through it all their greatest pride is in the consistent quality of the artists they’ve worked with and the music they’ve made. Bar/None recordings tend to be singular and surprising and always contain powerful songwriting. Simply put, as a body of work, the Bar/None catalogue stands the test of time. To celebrate its 30 years of existence Bar/None will be digging into its vaults for various goodies to share with music lovers so stay tuned.